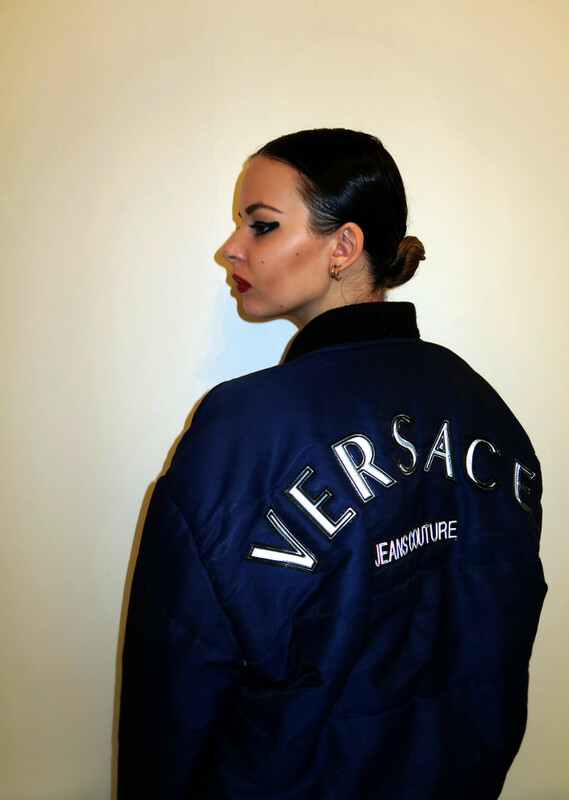 How amazing is this vintage Versace bomber? Incredible, right? 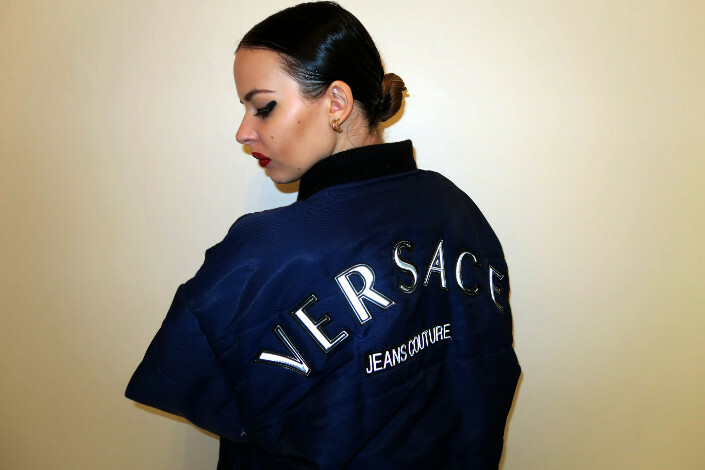 It reminds me of this Spice Girl bomber jacket that I had when I was 8, only 100x cooler. 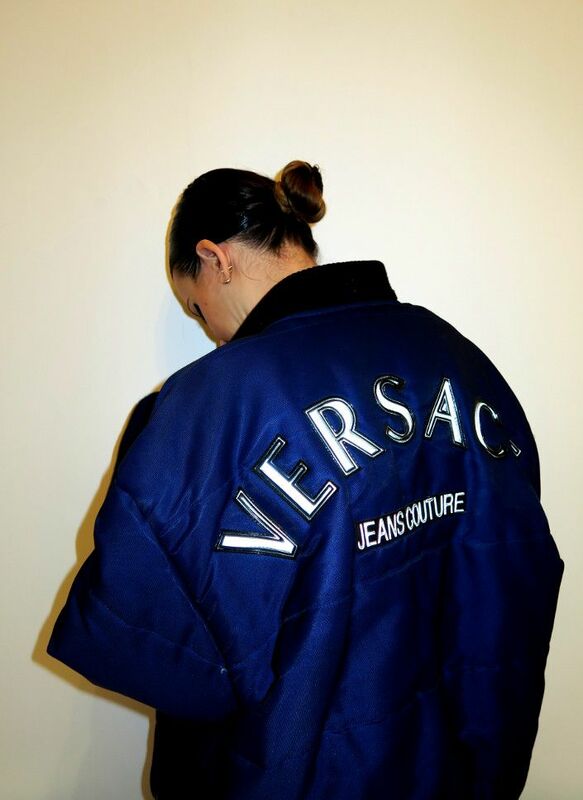 Not that there is anything wrong with a Spice Girl bomber, and nor will there ever be, but there is really no comparison between Versace and some knock off Spice Girl merch from the market. 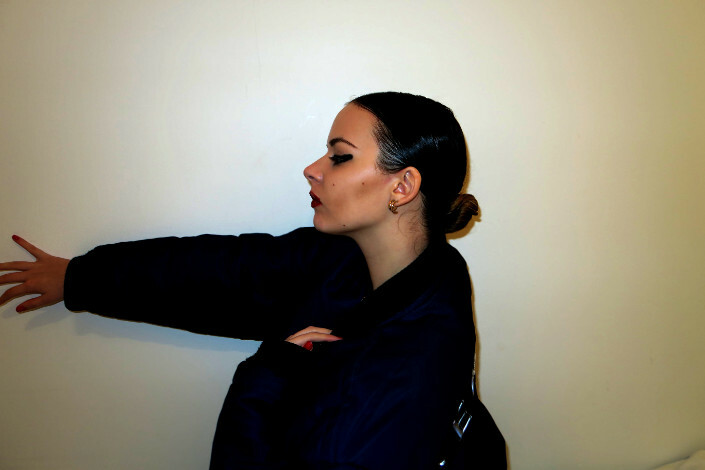 I'm also really loving this slick rick hair lately too, it reminds me of my dancing days when I was forced to wear my hair like this to class everyday, but back then I had really chubby cheeks and I just looked like one big ball, which the record which is not a good look! I also just want to say thank you so much for all of the lovely messages, comments, tweets, etc after my story went into the newspapers again last week (see here) - as always I am incredibly inspired and humbled at how kind and supportive you all are.